Astronomers say they've found a new candidate for the coldest known star. Astronomers say they've found a new candidate for the coldest known star — a brown dwarf with the temperature of a freshly made cup of tea. While you might burn yourself drinking such a tea, at 100 degrees Celsius, the boiling point of water is actually extremely cold for the surface of a star. The temperature of Earth's sun, for example, is about 5,500 C.
Scientists liken brown dwarfs to failed stars because they aren't big enough for gravity to trigger the nuclear reactions that make stars shine. Astronomers say such discoveries are significant because a brown dwarf is not exactly a star and not exactly a planet, but instead something between the two, and hence can teach us about the physics of both. Working with the European Southern Observatory's Very Large Telescope, astronomers say the newly-discovered brown dwarf is one of a pair in a double system 75 light-years from Earth. Astronomers describe the brown dwarfs, identified as CFBDSIR 1458+10B, in a paper in the current issue of The Astrophysical Journal. "At such temperatures we expect the brown dwarf to have properties that are different from previously known brown dwarfs and much closer to those of giant exoplanets — it could even have water clouds in its atmosphere," the paper's lead author, Michael Liu of the University of Hawaii's Institute for Astronomy, said in a release. 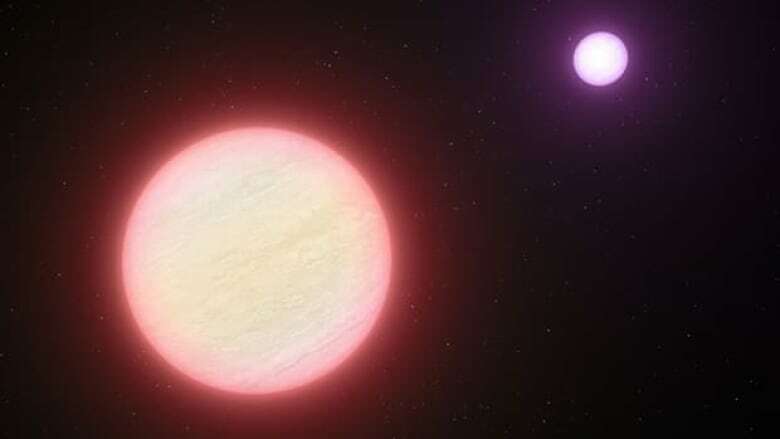 The team of researchers, which included Etienne Artigau of the Université de Montréal, is not ready to say it has definitively found the coldest known star. That's because another team working with NASA's infrared Spitzer Space Telescope recently identified two other very faint objects as other possible candidates, although their temperatures have not yet been measured so precisely.